This summer, I had the pleasure of attending the Idaho Regional Mathematics Conference in Boise, Idaho. I loved all of the classes and found Phil Daro (lead author of the Common Core Standards for Math) to be quite interesting. One of my favorite classes was, The Three Read Strategy and the Bar Model presented by Sarah Reynolds, a local instructional coach. Sarah has given me permission to share her presentation with you today! At the beginning of the class, we discussed what kind of common issues we have when students encounter contextual problems. A lot of great issues were identified. Sarah introduced the bar model method for math fact practice and then taught us about the three read strategy. This strategy is used to help students focus on certain parts of the math problem as well as learn to persevere in problem solving. 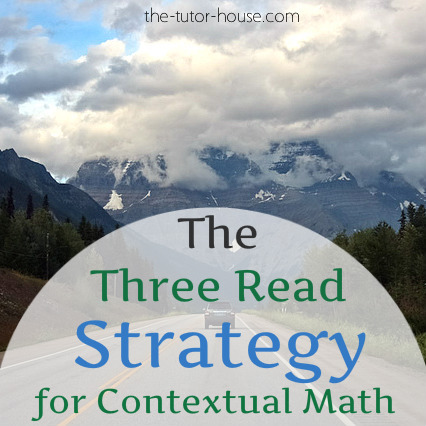 I've been using the three read strategy with my students and I love how it is helping to get things in focus. •Find things you did not find before. •Make sense of the problem. The other day my student and I read this math problem together using the three read strategy. After the first read, I asked, “Are there any any words you are not sure what they mean?” There wasn't, so we moved back into the problem and underlined the parts we thought were needed for the problem (see highlighted yellow). Upon the third reread, we identified what math operations needed to be used. Then we think more about the problem. My student said that he didn't think $75 for the total 500 mile trip (realizing that the 500 mile bit of information was important) was realistic and that $75 would probably only get you about 300 miles if we used today's gas prices. He was so right! Two tanks of gas were needed for this 500 mile trip. 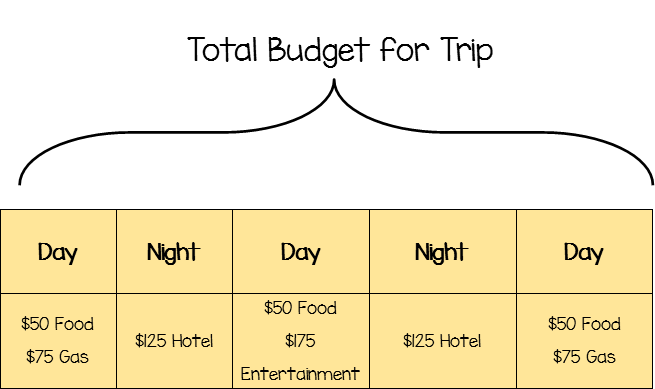 The problem hadn't specified if the $75 was per day or for the entire trip. I love when my students can reason and use logic in their mathematics. I encouraged him to be brave in class if he thought differently than what everyone was thinking and to share. It's part of having a mathematical discussion. This method has also worked well for my younger students who are more prone to monkey thoughts. When they read a problem like this, they would be distracted by thoughts about their last family vacation. An ESL student may get stuck on the name Darryl. All good things to discuss after the first reading to get those thoughts out and move forward with the math. How do you teach contextual math problems? This post is part of the Bright Ideas Blog Hop. Be sure to check out the other great ideas listed below. 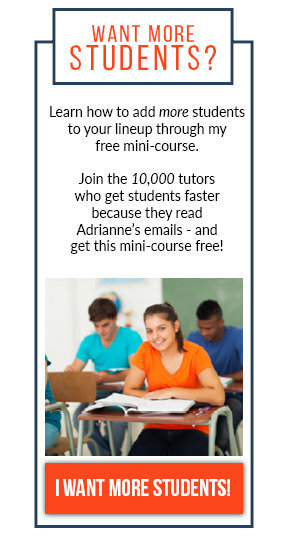 Are you a teacher considering tutoring? 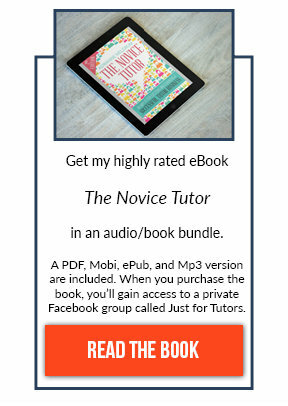 Be sure to follow along here on the blog via newsletter or on Facebook.